A few weeks back, Robinhood, the leading iOS and Android app that allows retail investors to easily buy stocks, announced that they would be adding cryptocurrency as an investment option. The wait list quickly rose to over one million users waiting to buy crypto from the stock trading app. Robinhood had only teased that trading would begin starting in February, but much of the month has passed already. In an official statement released by Robinhood, cryptocurrency trading will begin rolling out effective February 22, in five states across the US: California, Massachusetts, Missouri, Montana, and New Hampshire. Users that signed up to the waitlist should begin receiving emails shortly enabling access. 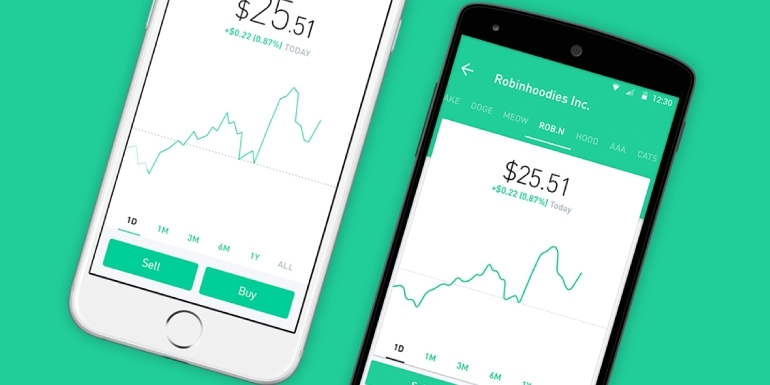 Robinhood will at first only allow trading of Bitcoin and Ethereum via its app, however, users are able to track the market data of a total of 16 cryptocurrencies via the app. The Robinhood stock trading app has reached over 4 million users total, and well over $100 billion in transaction volume. Robinhood allows very easy access for retail investors to purchase cryptocurrencies. With over 1 million users on the waitlist, the floodgates of retail investments could be opening soon with this milestone launch. For those not yet on the waitlist, sign up for Robinhood today and get yourself a free stock. Robinhood offers stocks from major corporations such as Apple, Twitter, and more.